Move On are delighted to bring Wild Orchid, 4 Plassey Avenue, Corbally, Limerick, to the market. 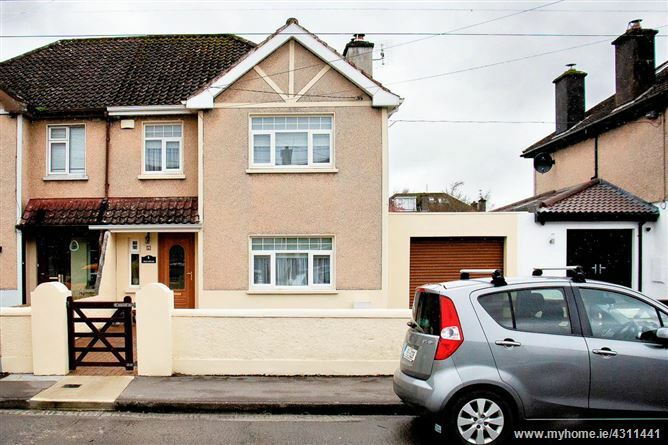 Situated in the established Irish Estates, in the popular area of Corbally, which is only a stroll into Limerick City Centre. The house is within walking distance of Supermarkets, Bars, Restaurants, National and Secondary Schools, Creches, Montessori Schools and all amenities. Just up the road you can access the Limerick Smarter Travel Route and the Shannon Fields for walking and cycling.This will bring you all the way, to either, Limerick City, The Park Canal or The University of Limerick, where you can enjoy the majestical River Shannon with all it's Wild Life. It is an oasis of calm, where you can chill out, away from the hectic activity of daily life. There is also a Wood nearby. The Freehold property was completely stripped and rebuilt from the inside out in 2007. It comprises of 3/4 bedrooms and a large family bathroom. Downstairs there are two living areas with built in units in the second reception room, under stairs storage and a Shaker style fitted kitchen, that leads out onto a beautifully mature landscaped large rear garden. You can also access the back garden via an Electric Roller Door at the side of the property. There is room at the side of this, where one could add a large extension. The attic could also be converted, or the property could be extended at the back. 20 Harcourt Street, Dublin 2.